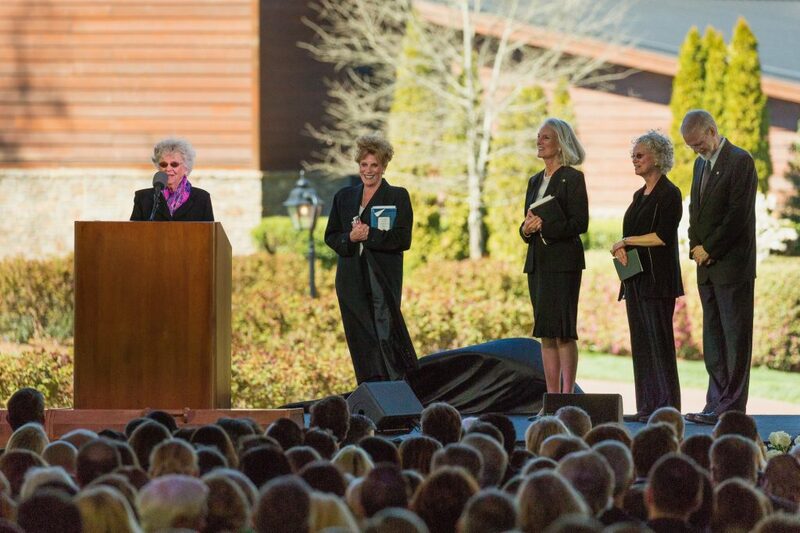 Among the 2,000 or so gathered to honor Billy Graham on Friday sat a few in the front row who knew him better than anyone. Jean, Gigi, Anne, Ruth, Franklin and Ned. Growing up “Graham,” they were used to sharing their beloved “Billy Frank” and “Daddy” with the world. >> Read 20 reflections from musicians, pastors, government leaders and friends. Throughout the years—and especially this past week—they’ve heard many tell stories of how “America’s Pastor” impacted their lives. But on Friday, it was their turn. And in front of a worldwide audience, they shared precious family memories with millions watching around the globe. Standing just steps from the house she grew up in, Jean Ford paid tribute to her big brother. The Graham Family Homeplace, originally located about 4 miles east, was relocated to the Billy Graham Library in Charlotte, North Carolina, where Friday’s service was held under a 28,000-square-foot tent constructed in the parking lot. 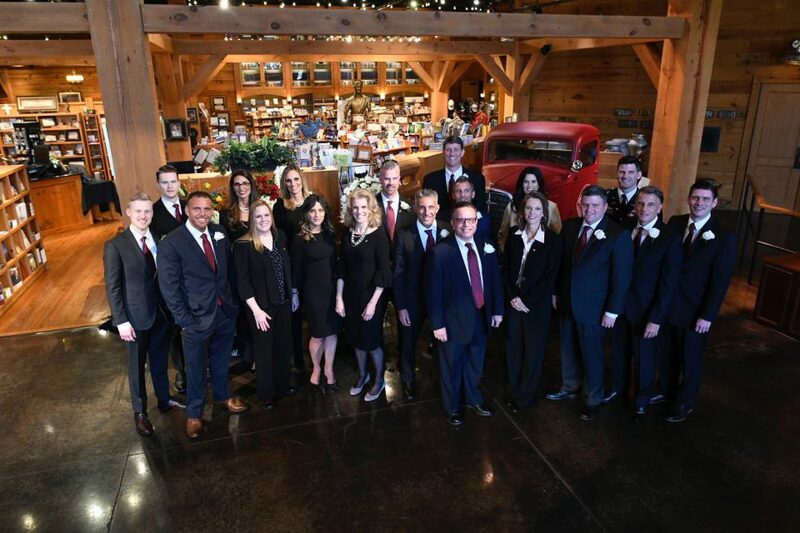 Billy Graham’s 19 grandchildren on the day of his funeral. Billy and Ruth Graham’s oldest daughter, Gigi, shared a poem her mother penned when she was 13. Her late mother wrote of praying for the man God would one day have her marry. Gigi talked about her father, a farm boy from Charlotte, who had no idea that the woman he would marry—and partner with for a lifetime of ministry—was praying for him from China. Anne Graham Lotz remembered reading Scripture to her father after their mother died. “He was hard of hearing, so I would sit in front of him, knee to knee,” she shared. 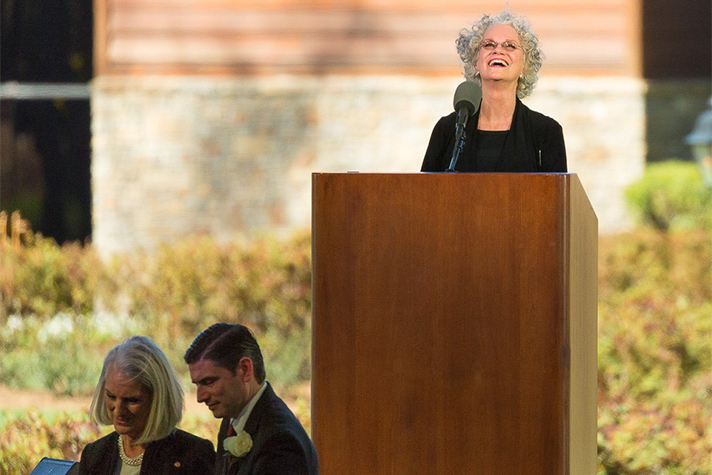 Named for her mother, Ruth Graham shared how her father welcomed her home after a short-lived marriage. As she made the two-day drive home, questions swirled in Ruth’s mind: What was she going to say to Daddy? To Mother? “You don’t want to embarrass your father. You really don’t want to embarrass Billy Graham,” she smiled. “As I wound my way up the mountain, and I rounded the last bend, … my father was standing there waiting for me. “He wrapped his arms around me. He said, ‘Welcome home.’ There was no shame. There was no blame. There was no condemnation, just unconditional love. The baby of the family, Ned Graham, called his father faithful, available and teachable. When Franklin Graham took the podium, he shared the Gospel but also offered listeners an intimate look at his father. “When I think of my father, I can sit quietly and I can still hear his voice,” he said. “A word of encouragement, sometimes a word of caution—there were quite a few of those. “I can recall him at home just laughing. … He had a great sense of humor. “He loved his grandchildren, great-grandchildren, all of his family. And I remember we would take walks together along the mountain trails above his log home there in Montreat [North Carolina]. 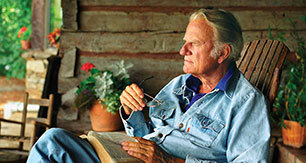 Billy Graham leaves not only a legacy of sharing the Gospel but also a family legacy of faith. He had 19 grandchildren, 44 great-grandchildren and 6 great-great-grandchildren. Some family members have followed his footsteps in ministry. At his service, Billy Graham’s sister and all five of his children pointed to Christ—whom their father glorified for nearly seven decades. He led so many to faith in God. “My mother, his mother, father and friends. Clapping and cheering, bells ringing, trumpets blowing. Are you sure you’re going to heaven when you die? Be sure. 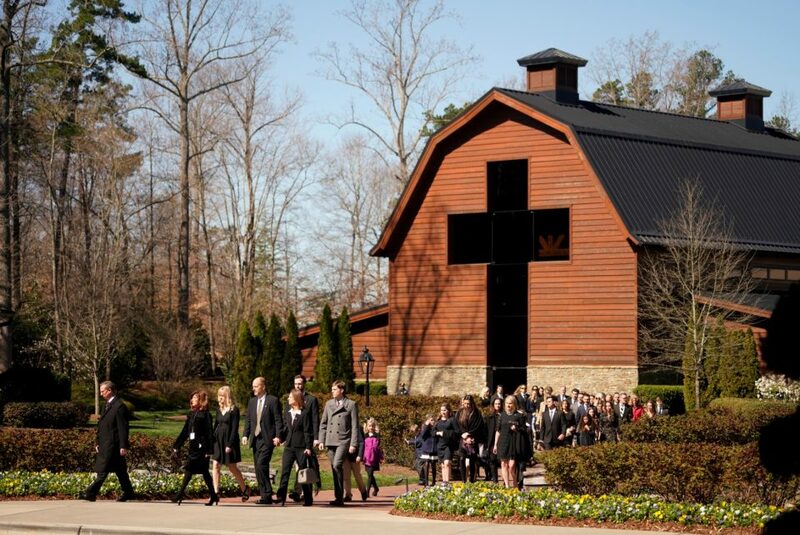 Billy Graham’s family walks from the Billy Graham Library to the funeral service.